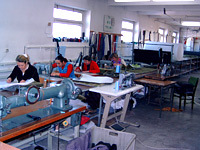 The GABIS Company was founded in 1996. We specialize in manufacturing different types of upholstered furniture. Our wide commercial collection includes, among others, armchairs, sofas, love seats, corner settees and couches - many of them can be used for sleeping and have bedding containers. The furniture is upholstered with various kinds of fabrics in a multitude of colors. Natural coverings are also becoming increasingly popular. Our furniture characterizes high quality and accessible price. The use of bonell fibre mat, corrugated springs and high-fender foams guarantees comfort and healthy leisure. It is our sincere effort to try to meet your needs and requirements by implementing the production of new models according to the latest fashion trends. We are also able to accommodate our clients specific needs via special ordering, where required. Our company's goal is to continually improve both our product line and our manufacturing and distribution network. 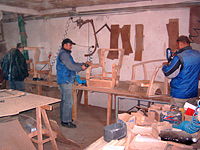 Customers are guaranteed excellent quality. The GABIS Company is interested in continued co-operation with manufacturers, wholesalers, importers and others. We are also open to the process of active refinement and improvement of our product line.